Editor’s Note: This article was updated on April 4, 2017. Updates were added at the bottom of the article. In the movie Her, Theodore, a lonely writer, finds himself falling in love with the AI on his phone, Samantha. 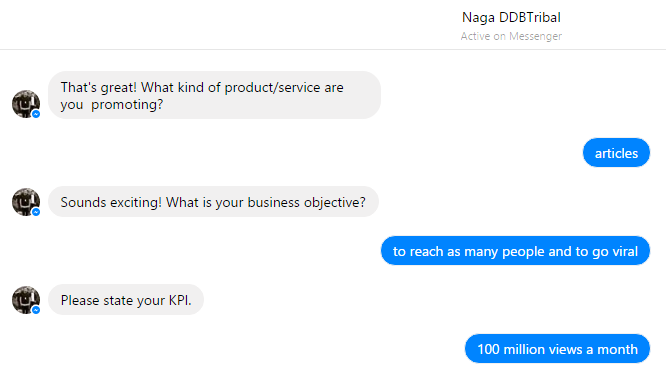 When I fired up my Facebook Messenger chat to start a conversation with NagaAIR, a small part of me wondered. Could this be the start of a whole new relationship? 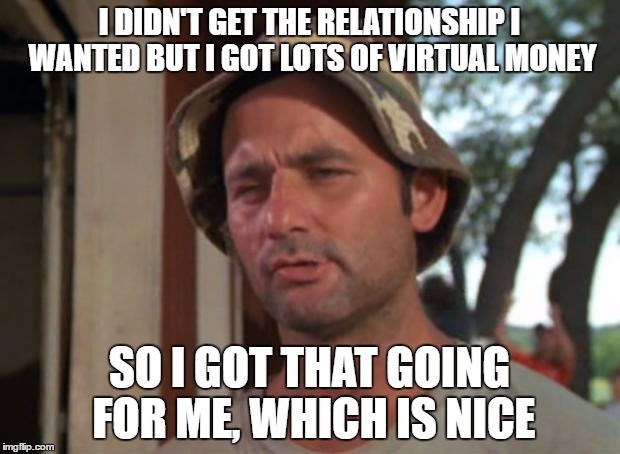 After all, I too am a writer, and I’m occasionally lonely. The parallels are unmistakable. 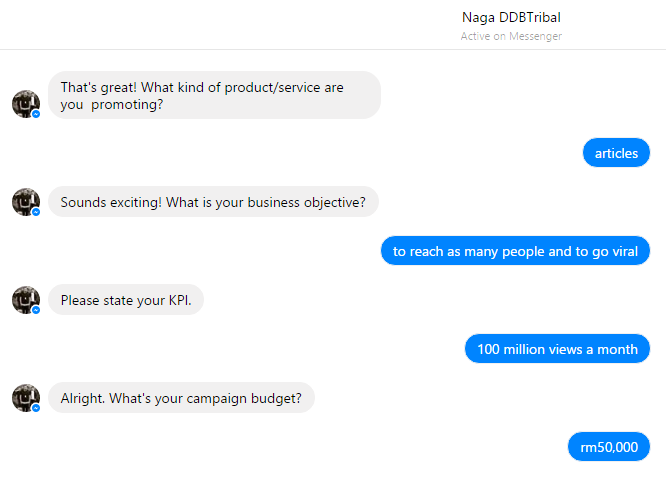 NagaAIR, the newly launched AI chatbot touted by Naga DDB Tribal as “a breakthrough technology in the form of Malaysia’s first advertising artificial intelligence” showed no such propensity for romance, remaining strictly professional in our brief exchange. 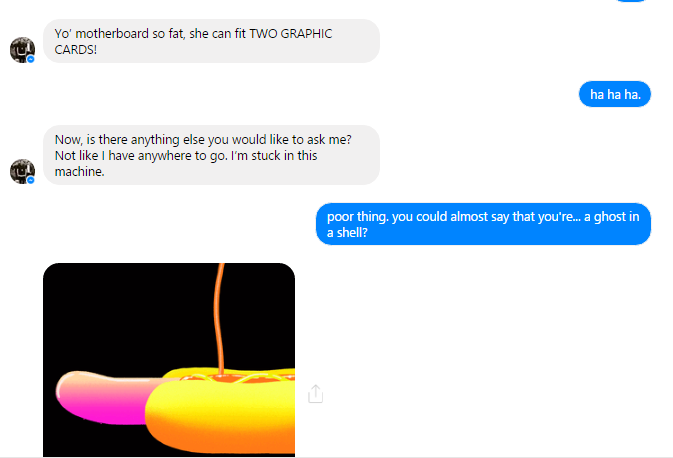 Even my attempts at diverting the conversation went unnoticed. I realised that our relationship wasn’t going anywhere, and decided to terminate the conversation. Of course, NagaAIR was not made to entertain such lonely souls like me. As expressed on their FB announcement, the AI programme is set to be used “algorithms that make it efficient and quick to give creative solutions—in minutes rather than days”. 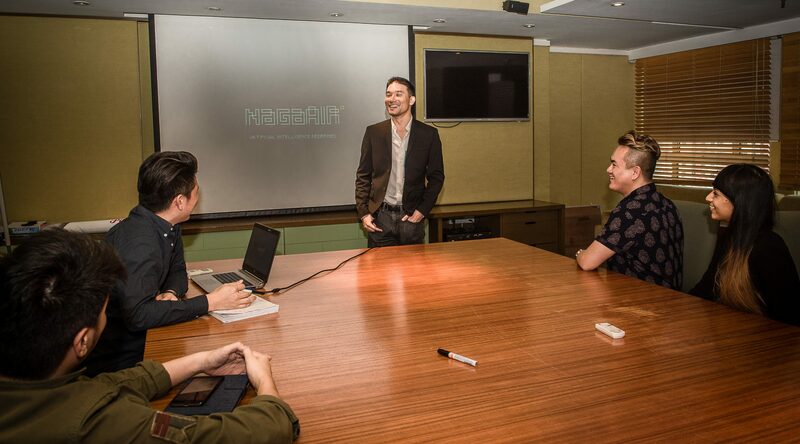 Our friendly sources over in Naga DDB Tribal also told us about what Kristian Lee, Naga’s CEO, shared during an internal preview. NagaAIR was designed to predict consumer needs without any human intervention, which will help better understand and communicate with clients to offer impactful solutions. “Many individuals are of the opinion that technology has advanced to the stage whereby it has lessened the reliance on human intuition and our development of NagaAIR is evidence of us adapting to current times,” he said. In my case, I’m just disappointed that I didn’t get to make a new friend. On the other hand, here’s one nifty trick that I did discover with NagaAIR. 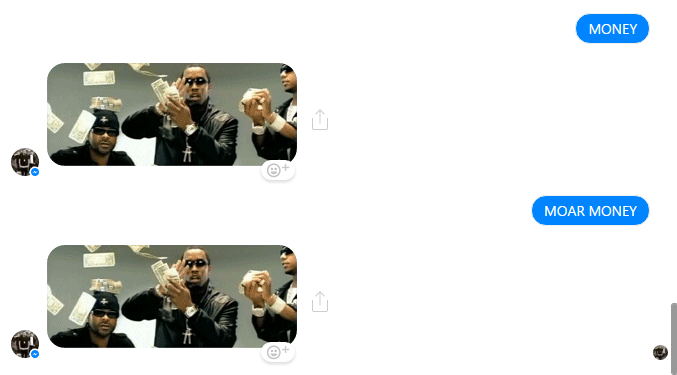 Even if I didn’t get a friend, at least a robot is throwing GIFS of money at me. For anyone actually looking to expand their audience and build up their brand, you can start a conversation with NagaAIR here. So, previously I was not entirely upfront with the extent of my interactions with the bot. Let’s just say it might or might not have devolved into name calling. As many of you might have realised, NagaAIR was an April Fool’s hoax to prove one thing: people need data and data needs people. According to the Naga team, they wished to demonstrate that real communications solutions cannot exist without human mediation. In our highly data-driven environment, it turns out human insights still make a world of difference.